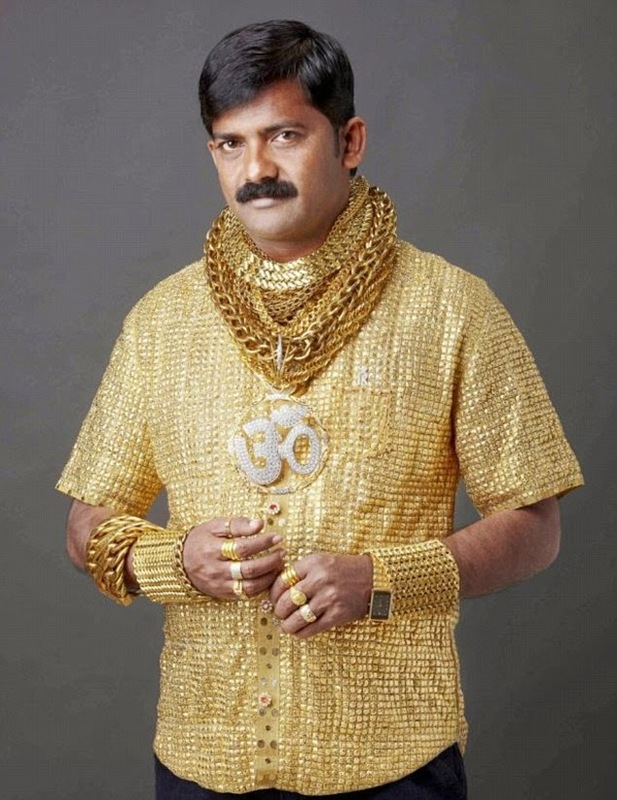 An Indian textile magnate who made a fortune from his clothing empire is making sure the rest of the world knows about his success - by having a shirt made out of pure gold. Although he left school without any qualifications Pankaj Parakh created a multi-million pound textile business in India. And now, to celebrate his upcoming 45th birthday on Friday, he has commissioned the solid gold shirt that weighs more than four kilos. And after paying just £127,000 to buy the gold and have it turned into a golden shirt, he thinks he got a good deal. According to local media the gold shirt has really got him noticed as he marched along the streets of his home in Yeola, 260 km from the city of Mumbai. He says he gets both admiring looks from women and envious looks from men. He said: 'I never go out with less than two to three kilos of gold jewellery. 'I have always been fascinated with gold since I was five-years-old and studying in school. And over the years that interest has become a real passion. So it was logical that I would want to make my 45th birthday a golden affair. The shirt that has seven solid gold buttons is due to be officially modelled by the clothing magnate on Friday, but he tried it on in advance after collecting it from the Shanti Jewellers at Parel in Mumbai, where a team of around 20 craftsmen collectively spent 3,200 hours over the past two months to 'stitch' it together. Despite being made of gold the shirt has been so carefully made that it is as flexible as a normal shirt, he claims, and also just as comfortable because there is a thin cloth lining the inside. After leaving school early before graduating he had thrown all of his efforts into developing the family garments business in Yeola, a town of some 60,000. He is a local politician himself and despite criticism that he flaunts his wealth among people who are poorer, he is actively involved in community projects and recently funding 120 operations for polio suffers at the Narayan Seva Sansthan Hospital of Udaipur in Rajasthan. 'I spend at least a week each year offering voluntary services at the 1,000-bedded hospital, the biggest and best for polio treatment in India. I also arrange for any requirements of the poor patients like food, medicines, surgery and blankets, from which I get immense satisfaction,' Parakh said. 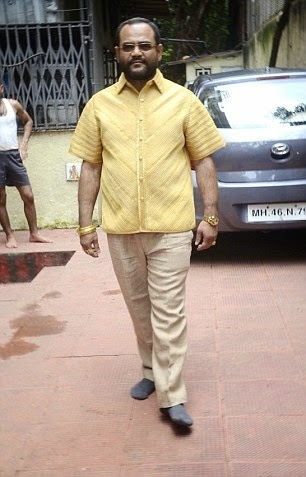 And the cost of the gold shirt is reportedly a fraction of what he has splashed out to make sure the birthday party is a spectacular affair, with hundreds of guests including Maharashtra tourism minister Chhagan Bhujbal of the Nationalist Congress Party (NCP) and around a dozen MPs from various parties and Indian celebrities.